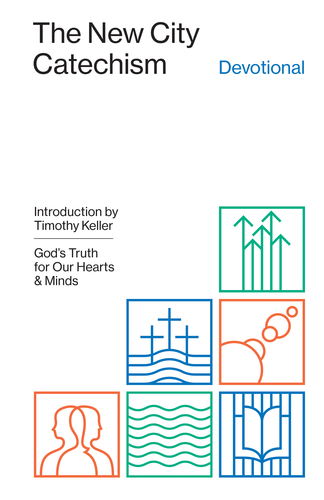 a modern-day resource aimed at helping children and adults alike learn the core doctrines of the Christian faith via 52 questions and answers. Throughout the history of the church, Christians have used catechisms—collections of questions and answers designed for memorization and recitation—to teach foundational Christian doctrines. In a world of shifting beliefs and obscured truth, this communal practice of learning biblical truth via questions and answers is more needed than ever before. 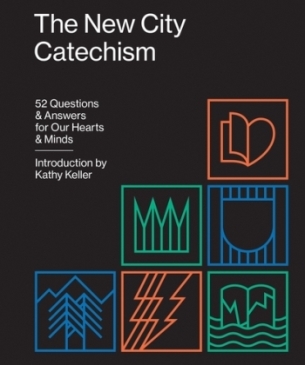 Comprising fifty-two questions and answers to be used devotionally, recited orally, or memorized over the course of a year, The New City Catechism & The New City Catechism Devotional are gospel-centered, modern-day resources that seek to restore this ancient method of oral, participatory, and communal teaching to the regular life of the church. Asking and answering questions related to God, human nature, sin, Christ, the Holy Spirit, and more, these unique resources not only guide and ground both children and adults in gospel truth, but also help to foster an abiding framework and delight in the work, attributes, and fellowship of God. Whether used individually or as companion resources, among families, churches, individuals, schools, or homeschoolers, these two gospel-infused resources set forth a comprehensive exposition of the gospel that both addresses and counteracts false narratives and beliefs, as well as forms a counterculture that reflects the image of Christ in the character of the individual and the community of the church universal. 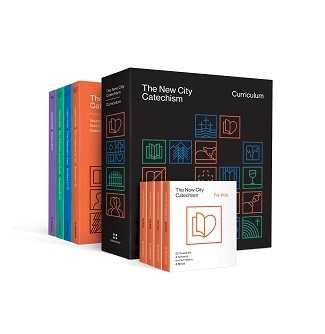 Based on and adapted from Calvin’s Geneva Catechism, the Westminster Shorter and Larger catechisms, and especially the Heidelberg Catechism, The New City Catechism is a modern day resource that provides wonderful exposure to many of the riches and insights across the spectrum of the great Reformation-era catechisms. Divided into three parts—God, creation and fall, law; Christ, redemption, grace; and Spirit, restoration, growing in grace—it offers a minimum core basic understanding of the theology of the Word of God that will enable believers to love doctrine and to always know how to appropriate every facet of God’s Word for everyday life. Laying out fifty-two questions and answers—one for each week of the year—this short book makes it simply to fit into church calendars and achievable for individuals and families with demanding schedules. Whether used devotionally, recited orally, or memorized over the course of a year, families, churches, small groups, homeschool families, and Christian schools will treasure this as a valuable tool for communicating the core doctrines of the Christian faith to children and adults alike. 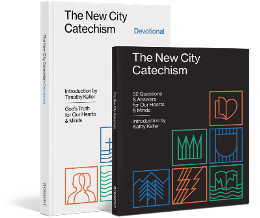 Designed for use in a variety of contexts and forwarding a comprehensive summary of important Christian doctrine with related devotional content, The New City Catechism Devotional is a valuable resource for helping believers learn and meditate on the doctrines that stand at the heart of the Christian faith. 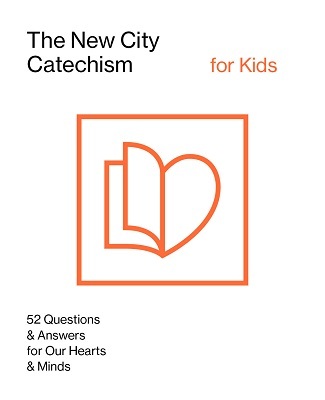 This gospel-focused devotional features all fifty-two questions and answers contained in The New City Catechism, along with relevant Scripture passages, short prayers, and devotional commentary written by contemporary pastors and historical figures alike.